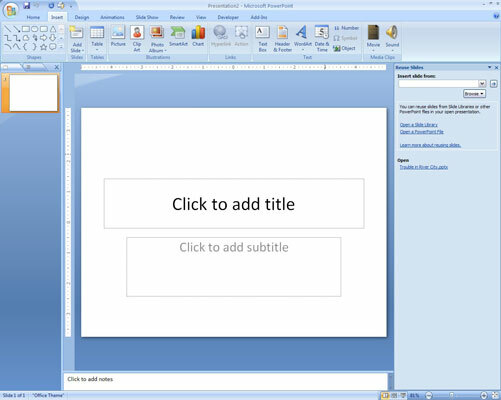 1Open the presentation you want to copy slides into. Grab a cup of coffee or a few seconds of meditation as the presentation opens and comes to life. 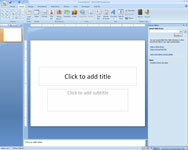 2Click the Insert tab on the Ribbon and then click the Add Slide button and choose Reuse Slides. This displays a Reuse Slides task pane. 3Click the Open a Slide Library link in the Reuse Slides task pane. This summons a Browse dialog box. 4Locate the Slide Library you want to steal slides from and then click Open. The slides from the presentation you selected are displayed in the Reuse Slides task pane, in the same was as slides from a PowerPoint file. 5(Optional) To keep the original formatting for the slides, select the Keep Source Formatting check box. Normally, you should keep this option deselected. 6Click the slides you want to use. 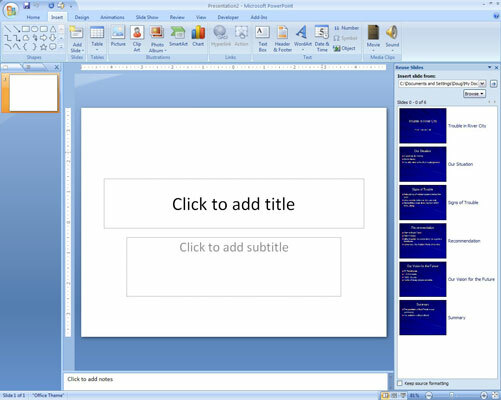 Each slide you click is added to the presentation. 7Click the X at the top right of the Reuse Slides task pane. This closes the task pane.